Columbia Stair Inc. provides quality work by experienced craftsmen with more than 16 years of experience in design and stair building. From remodeling your current staircases to new staircase installations we work directly with homeowners and builders to insure complete satisfaction of the finished product. We provide free estimates and in-home consultations; stepping you through the entire process, to make sure you understand all aspects of your staircase before the work begins. 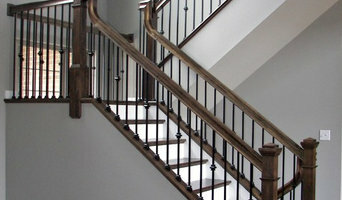 Columbia Stair Inc. works to meet both your style and budget by providing you with affordable options. 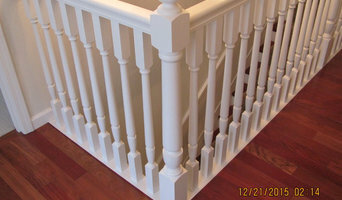 True customer service is the key to our success at Columbia Stair Inc.
With any construction project, new or remodeling, it can be hard to find qualified craftsman to do the job. At C&S I do many different types of jobs, but I pride myself on creating and building staircases that are the focal point in many homes in the metropolitan area. Remodel STL leverages a talented team of creative carpenters, painting artisans, HVAC mechanics, electric professionals, plumbing saviors, and design experts to create your commercial/residential property renovation, rehab, remodel and construction masterpieces. Burdette Acoustical Ceilings & Interiors ,LLC. The Decorative Concrete Council (DCC) is a specialty council of the American Society of Concrete Contractors (ASCC). The DCC mission is to advance decorative concrete contractors through education and networking and establish them as the contractor of choice when considering a decorative concrete solution. Commercial, residential, and specialty cleaning. If you own it ! WE CLEAN IT! We provide a number of basement and foundation services. These include basement and foundation waterproofing, foundation repair, crawl space encapsulation, and concrete lifting. With over 50 years combined experience in building trades, PCS offers the quality of craftsmanship your project needs to get the job done right the first time. Mosquito control is now a reality thanks to Mosquito Squad, the world’s leading mosquito eliminator. Our affordable, effective and convenient mosquito control solutions offer something for everyone. Are you tired of spending money on deet laden mosquito repellents, foggers, mosquito sprays and candles only to lose the battle against mosquitoes? At Mosquito Squad of Greater St. Louis, we apply an EPA registered mosquito solution that forms an odorless, invisible barrier around your yard, keeping mosquitoes and ticks from ruining your time outdoors. Our “happiness guaranteed” barrier treatments will ensure you have a bug free summer. 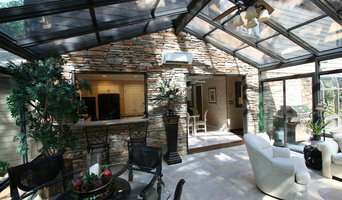 We are a whole home/business remodeling company. We offer services from room repaints to complete remodels. We also have a team of other local contractors to help complete any project. Classic Creations Painting creates beautiful and inspiring custom wall and ceiling finishes, along with custom hand painted cabinetry and furniture. 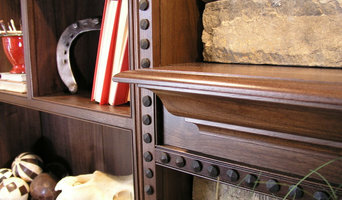 Your design will be one of a kind using only professional grade products at the top of the industry. I have over 10 years of continuous professional training all over the United States and Europe with a most extensive professional design community for consultations at my fingertips. Let me create a Classic finish just for you! Whether you’re looking for a team of Town and Country, MO professionals or a handyman for a small renovation, you’ll find dozens of professional profiles and contact information for specialty contractors here on Houzz. Here are some related professionals and vendors to complement the work of specialty contractors: General Contractors, Landscape Contractors, Architects & Building Designers, Interior Designers & Decorators, Kitchen & Bath Designers. Let’s say you want to install custom wood flooring in your dining room, and you’ve found a Town and Country, MO company with excellent reviews. Next you’ll want to contact the company and make some inquiries. Find specialty contractors on Houzz. Look in the Professionals section of our website under Town and Country, MO specialty contractors, then select the nearest metro area for a contractor. 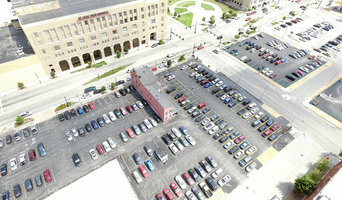 You can also look through Missouri photos of completed projects to see how a contractor might approach design challenges.